Small 4 Style: Dallas Fashion: Upcoming Events December 2013! Dallas Fashion: Upcoming Events December 2013! The style scene in Dallas doesn't take a even just a little study break. These next few weeks are going to be busy for Dallas fashionistas, and for college students studying for finals. Even if I can't attend most of these events, you need to attend and report back to me! Remember when I tried out Front Door Fashion in the fall? Well, they're not just at your front door anymore! 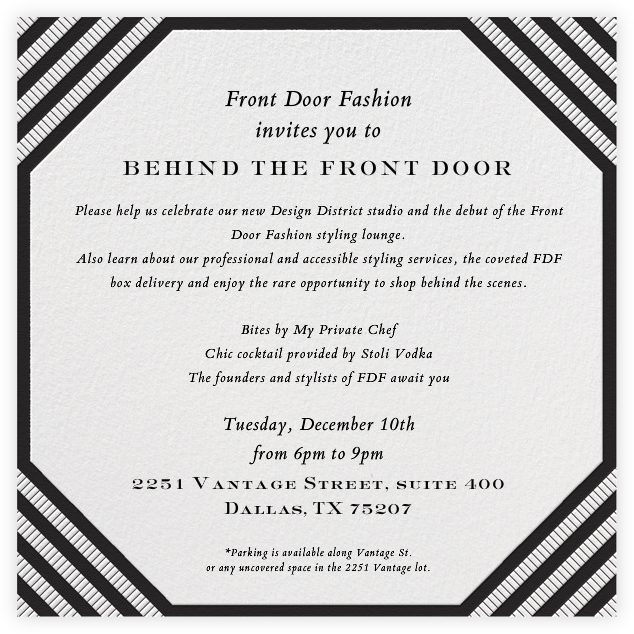 FDF is debuting a new studio in the Design District. 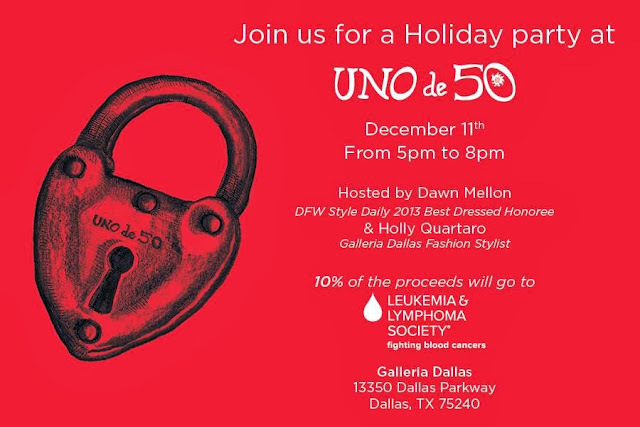 Some of the coolest, nicest Dallas style people are hosting a special event at Uno de 50 Galleria Dallas. With Dawn Mellon and Holly Quartaro hosting, it's sure to be a fun night. Plus, a portion of the proceeds from the event will benefit the Leukemia & Lymphoma Society. Whenever my fashion designer friend Henny Hughes hosts an event, it always seems to fall on a day I can't make it. Her event sounds so fabulous and I wish I didn't have to study for my Marketing final exam that night. There's no way I'm going to miss this one! 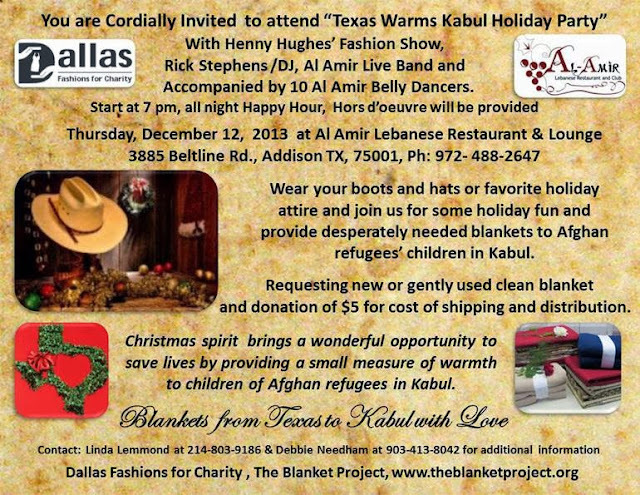 The 12 Fashion Stars for a Cause 2014 will be presented for the first time this Friday at PlaneSmart in Addison. Join us for a special evening hosted by Yvonne Crum and Beverly Drive magazine. We're going to be raising lots of money for the Suicide and Crisis Center of North Texas over the next several months! 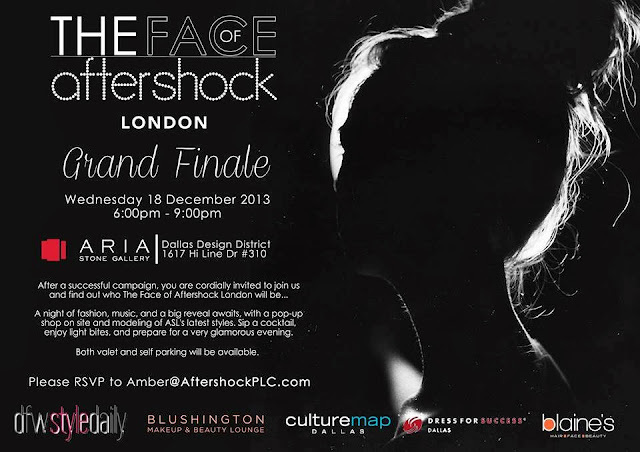 Aftershock London gave Dallas' fashion-obsessed women a chance to be "The Face of Aftershock London." The judges narrowed it down to the best of the best. Join DFW Style Daily as they reveal the winner. You have a say: vote for your favorite on Facebook! What a great run down of many fashion events.. keep up the great work.. what fun we have in Dallas with Fashion and Style.